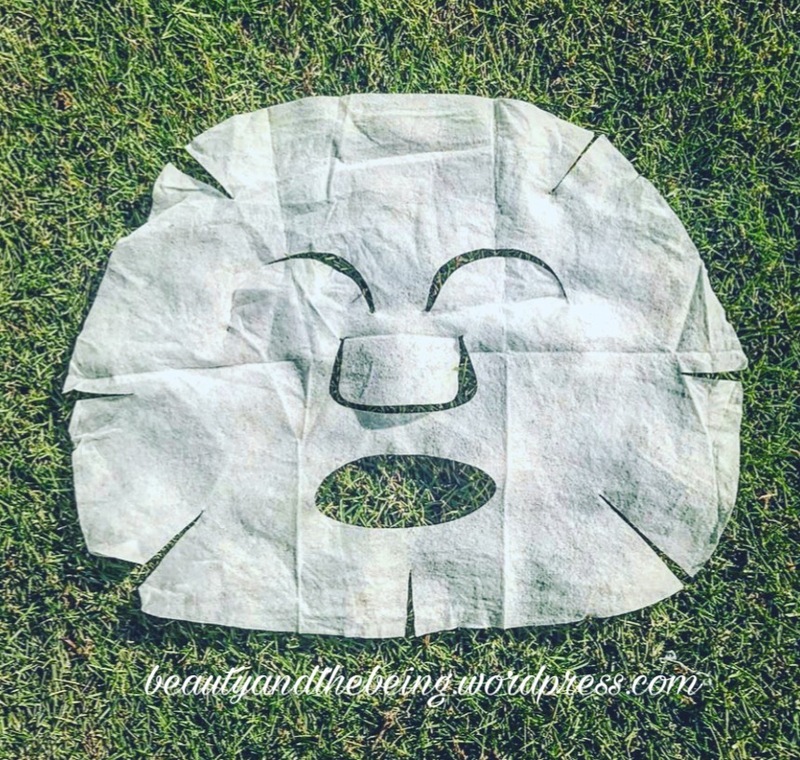 Continuing with the sheet mask series, today is all about the Purederm Green Tea Collagen Sheet Mask. Purederm Skin Solutions claim – “Now you can get Korean professional-level treatments from the comfort of your home. Purederm products are some the highest quality imported skincare treatments. And these will cost you quite a bit less than your usual beauty products. 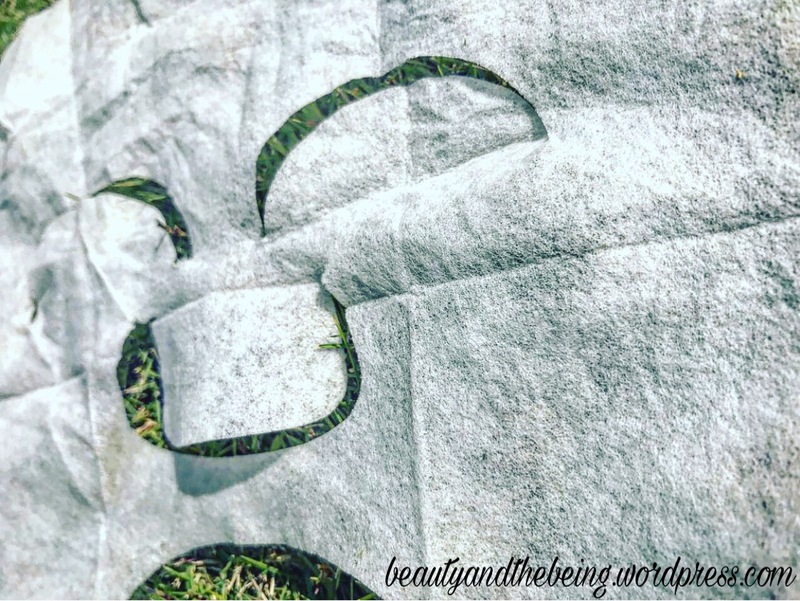 Like I said in a previous review Purederm has quite a few different varieties of facial sheet masks and the ones I choose are from their Skin Recovery range. This came in a pack of 5 for Rs. 329/- …a steal!!! 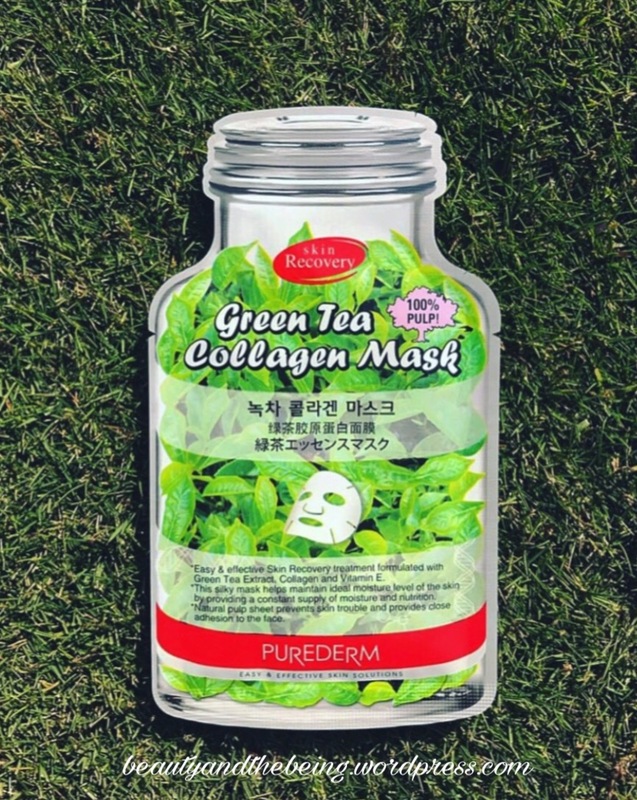 • Easy and effective Skin Recovery treatment formulated with Green Tea Extract Collagen and Vitamin E.
• This silky mask helps maintain ideal moisture level of the skin by providing a constant supply of moisture and nutrition. • Natural pulp sheet prevent skin trouble and provides close adhesion to the face. This is an amazing mask. The sheet is soaked in a lot of essence, though you don’t have any leftover in the sachet. The fit is perfection, so a big big plus for me. I like that Purederm masks have the flap on the eyes, so if you’re laying down, simply cover your eyelid and let it soak the goodness! The eyeholes were nice and wide too. Another thing I really enjoyed with this mask is how cooling & soothing it felt. 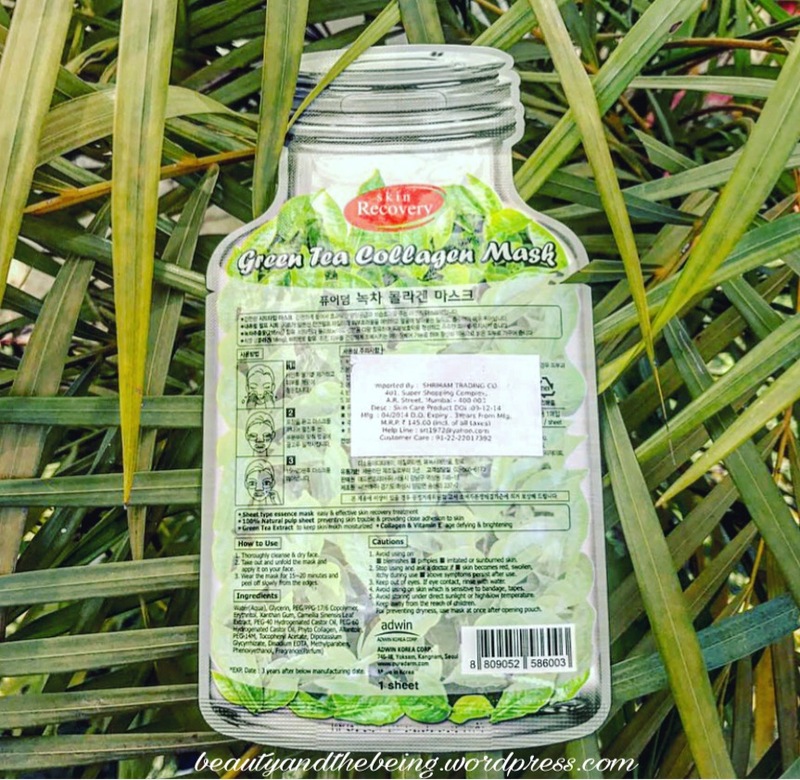 The mask adheres to the skin, making sure your skin is absorbing the essence. I kept the mask on for about 30 minutes and by the 20 min mark the mask was drying up & lifting off my face. If we talk about the ‘feel’ of the essence itself, it is clear and has a very very faint fragrance (not bothersome whatsoever, infact very pleasant smelling). The essence is not sticky at all, and i LOVE that about this mask. If you have oily skin, I think this mask would be perfect. 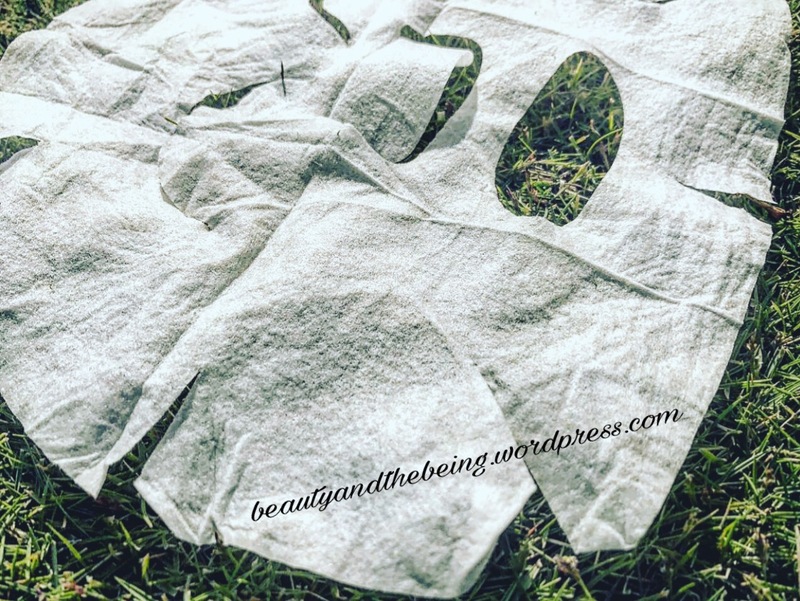 As for texture & fit, you can see the mask has slits so that the sheet mask can really sit on your skin & let it absorb all the goodness from the essence. The texture is somewhat like Tissue papery …thick and not easy to tear.